Whether you're storing your family heirlooms or your children's artwork, it's important to take the right precautions while packing your most treasured belongings. Read through our self storage tips below to see whether you should upgrade to a climate-controlled unit, the best way to pack boxes, and tricks for living in your college dorm room. If you can't find the answer you seek on this page, feel free to call or stop by our facility. Our experts know all the ins and outs of packing and storing. Let us help you today! Are any of the items you plan to store sensitive to temperature or humidity? If so, you will most likely need a climate-controlled storage unit. Typically the following items need to be stored indoors with some type of climate-control: leathers, furs, clothing, paintings, film, photographs, furniture, antiques, musical instruments, wine, paper, software, DVDs, CDs, and electronics. You may also want to consider mobile storage for your items. If you decide to use mobile storage, a unit will be brought to you and removed after you have packed it. The unit will be stored at the facility or can be shipped to another location. The cost and features of mobile storage are comparable to self storage but if you require regular access to your belongings, it may not be the best option for your needs. Check out more detailed storage tips below. There's a storage solution for every situation. Renting a self storage unit can be a great way to reduce clutter and free up needed space at the home or office. A storage unit is a smart place to keep a few boxes, old appliances, memorabilia, heirlooms, and old toys. Often self storage units offer more security than homes. Self storage facilities provide security features not normally found in homes. 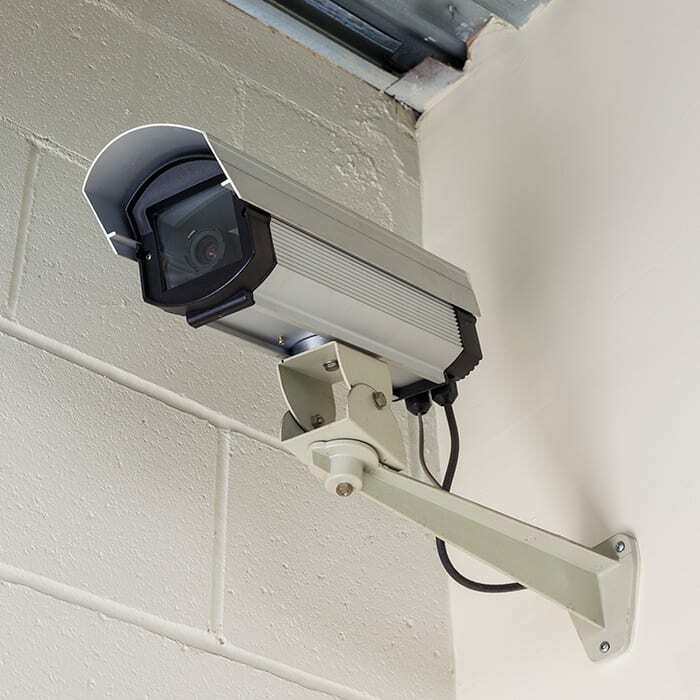 In addition to a lock, facilities are often protected by a security fence, surveillance cameras, a gated entry, limited entry after hours, exterior lighting, and possibly security guards or on-site management. You may choose to purchase an in-home security system for your home. While this may protect the items stored in your home, will it protect items left in your yard? What about that backyard storage shed? Self storage units give you the benefits of both extra storage space and added security. Some items pose potential hazards at home and need to be placed in a secure area to ensure the safety of your family. You may be handy around the house and enjoy renovation projects, but between jobs a self storage unit can keep those power tools, ladders, saws, and drills away from curious children and, thereby, reduce the risk of possible accidents around the house. Homes often do not have the storage space to hold large items. For instance, if you have ski boats, canoes, or vintage cars, you may not have room for them in your garage or driveway. A self storage unit could give you a place to store such items that also provides protection from the weather and some added security. If your garage has slowly filled with things like your exercise equipment and camping supplies and you want to reclaim it for your car, a self storage unit may be a perfect solution. If you value ease and saving time over saving money, you may want to hire professional movers who will come and pack up your belongings, move your items to their company-run storage site, and then pack them up again and move them to your new destination. Make sure that you do your homework before hiring a mover. You’ll want to know that the company you hire is a reputable one before you entrust them with your valuables. Another thing to consider is that if you pack and store the items yourself you will have to pay for insurance, which can be costly. When hiring someone to do the work for you, insurance is often included in the cost of their services. Are the items you wish to store sensitive to cold, heat, moisture, or dust? If you are storing valuable items such as documents, furs, electronics, computer equipment, stereos, or television sets you may want to opt for a climate-controlled unit. Many storage facilities also offer dust-free storage for your sensitive electronics. Will you want to switch out the storage contents seasonally? Often you will want to store your summer wardrobe or seasonal household items such as swimming pool equipment or patio furniture during the winter months. During the summer you may want to store your family’s skis, snowmobile, snow blower, and shovels. Space may vary for these items and perhaps even the need for climate or dust control. Make sure that you consider all your possible needs before renting your unit. Do you need 24-hour tenant access? Do you need to store large items such as cars, campers, or other motorized vehicles? Compare the safety and security features of facilities before renting. Ask if there are security cameras on the premises. Is the facility equipped with motion lights or otherwise well-lit? Some storage facilities offer security alarms and security fences. Still other locations have an on-site manager living on the premises who will keep an eye on who is coming and going. They will also alert the police to any suspicious activity. Whether you need to pack a few items to put in the attic, send some boxes to a self storage unit to clear the house of clutter, or pack everything you own in order to move, you want to do it right. This means packing carefully and thinking ahead. Take a few precautions to help prevent damage and make it easier to find things later. When summer rolls around, you want to be able to find the other half of your wardrobe without having to open and move stacks of boxes that weren’t clearly labeled. Fill each box completely to prevent the top or sides from crushing. If your box is filled with odd-shaped or loose items like glassware or toys, fill the open spaces with crumpled paper, bubble wrap, or other packing material. Store framed mirrors, photographs, and artwork vertically rather than flat. Clean items like clothing, blankets, drapery, or furniture before packing them to prevent germs and dirt from being transported to a new location, and odors from spreading throughout your storage unit. Place least-used items in front of the van so they can easily be placed behind other items in your new garage or self storage unit. Consider the environment where you plan to store your valuables. Will it be very hot or cold? Consider renting a climate-controlled storage room for items that could be damaged by extreme temperatures or humidity. This includes things like software, paper, electronics, or clothing. Some items do best in cold storage such as wine and furs. In self storage units without climate control consider using a dehumidifier. Although some self storage facilities won’t insist that you have insurance coverage, others will and it makes sense to put adequate coverage in place. Don’t be lulled into a false sense of well-being just because the facility you’ve chosen has implemented good security measures or has a smoking ban on site, for example. Your items are technically out of your hands in self storage, and although the facility may be doing everything it can to avoid theft, they can do little against accidents and damage caused by fires, floods, storms, and other natural disasters. It is recommended that you check your insurance options carefully before signing your storage rental agreement and placing your items into self storage. In fact, your first step should be to contact your homeowner/renter insurance agent to see if the items placed in the self storage facility will be covered by your current policy. It may be that you are fully covered for items stored away from home, or you may be able to pay an additional premium to get such coverage. This option could be cheaper than taking out a separate insurance policy. If you do provide your own insurance coverage, be aware that the self storage facility you choose may ask to see proof of your policy before renting you space. Are my items already covered under my current insurance policy? Make sure this includes vehicles and boats as well as household items. Will the policy need to be updated each time an item is added or removed from storage? Be sure to keep a detailed list of what is in your self storage unit and the items' value. Are the items being stored of high monetary or sentimental value? If so, it may be worth the extra cost to rent a climate-controlled storage unit. Keep at home practical items in regular use like silverware, towels, bedding, and soap dishes. Make room for sporting gear that someone in the house uses every few days (basketballs, yoga mats, bikes, and more). Box up extra items that clutter your cupboards like excess towels, the good silver used only on holidays, extra blankets needed only in winter, and toothbrush holders that have been replaced by a fresh design. Store the rocker that only grandma sits in when she visits every six months or the footstool that no one uses – but everyone trips over. Put away your college student’s bags, balls, and other belongings that spill out of his closets into other rooms or that make his room uncomfortable for guests. Bundle garden tools together in the off-season and stick them in a garbage bin in your self storage unit. Reuse a shirt box or shoebox to store ornament hangers. Fill it with hooks, rolls of small ribbon, cording, scissors, twist ties, and craft wire – everything you’d need to replace the inevitable lost hanger. The wedding is over. Perhaps you wore your grandmother’s elegant silk gown with the flowing train and the delicately embroidered veil that matched, or maybe you and your girlfriends spent weeks searching for the perfect wedding dress that you felt best reflected your personality. Now, you need to store this treasure so that the years do not steal any of its beauty. You may want to leave the possibility open for your little girl to one day carry on the family tradition and walk down the aisle in that very wedding gown. Check the gown’s label for care instructions. Some must be dry cleaned while others can be “wet cleaned,” which means cleaned with water, a process that can be handled by a professional. Often polyester dresses can be hand washed – but test a small, hidden area to be sure. Labels may provide special instructions that specify the type of cleaning solvent that the dress requires. Check with your bridal shop for an experienced dry cleaner that carries the type of supplies and equipment your dress needs. Avoid storing the gown in a plastic dry-cleaning bag or a plastic garment bag for very long, even if the wedding boutique sent the dress home with you in such a bag. Plastic may emit fumes that could yellow or otherwise damage your gown. In addition, if moisture gets trapped in the bag, the dress could mildew. If you choose to have the gown boxed by a company that specializes in preserving wedding gowns, they will likely use an acid-free wedding box, preferably not simply one with an acid-free coating as it will not provide as much protection in the long run. They should pad the bodice and folds with acid-free tissue. Fabrics like rayon or polyester should use buffered tissue while natural material like silk should use un-buffered tissue. If you have the gown boxed, do not get it sealed. A dress that has been folded will need to be taken out and rearranged every year or so to prevent folds from creasing and permanently damaging the dress. An added benefit of storing your dress in an unsealed container is that you may take it out, try it on, and enjoy it occasionally. Choosing to have a wedding dress preservation company professionally hang the gown will help prevent wrinkles and will require less care in the future. Since it will not be folded, creases will not develop; therefore, the dress will not have to be removed from its packaging every couple of years to be rearranged. The dress should be placed in a cloth bag that contains no dye, and hung on a thickly padded hanger. Dresses with narrow straps or none at all should be reinforced to prevent breakage. The bodice may be filled with acid-free tissue to help it retain its shape. After the wedding dress has been cleaned and preserved, keep it in a location where the temperature is cool and the air is dry. Minimize light. Ultraviolet radiation can hurt textiles over a long period of time. A dehumidifier may help, or you may want to lease a self storage unit with climate-control features, allowing you to keep the temperature low and the air dry to better protect all your stored clothing – most especially this one-of-a-kind symbol of your family’s beginning, that, when preserved, may bring happiness to generations. It can be difficult to make space in your home or garage for unused appliances. But because new appliances are expensive, many people prefer to hold on to old ones for hand-me-downs, vacation homes, or back-ups. A self storage rental can be a convenient, affordable solution — short-term or long-term. However, if you don’t properly prepare your appliances for remote storage, you may return to find useless, moldy boxes. Run a final cycle. Consider running an empty clothes washer and dishwasher through a complete wash cycle using either a cup of bleach or white vinegar instead of detergent prior to placing in self storage. Drain liquid. Empty any water from hoses, holding tanks, plastic tubing, and other internal components. This will help prevent freezing and mildew. Clean the interior. Scrub and dry the interior completely — especially in refrigerators, dishwashers, and ovens. Food and sugar remnants can attract bugs, even in interior storage units. In refrigerators, clean and dry the defrost pan — you’ll find it underneath or behind the refrigerator. In water-using appliances, wipe the rubber cushion seal around the perimeter of the door. Mildew tends to collect in this area. Treat for insects. Insects that infest food are found almost everywhere. To prevent an infestation, be sure to spray your clean appliance for bugs. Clean the exterior. Any motor-driven appliance will have an intake area (lint filter, tube, or grid). be sure to clean this vent. A vacuum may do the trick, but if the opening is greasy, you might use an old toothbrush. Remove glass and protect finish. If your appliance has glass shelves or fragile parts, remove them and transport them separately. Appliances with finishes that can scratch or dent should be wrapped in blankets or bubble wrap. Refrigerators should be transported upright. Secure with tape. Use strong tape to hold the appliance door closed. Even though the tape should only stay in place during the move, you may want to choose a type that won’t leave residue (such as blue painters tape). Once in storage, remove the tape and prop the appliance’s door open to prevent mildew. Choose a suitable storage unit. If you are storing your appliances in a region that experiences high temperatures, low temperatures, wide temperature swings, or high humidity, you may want to consider a climate-controlled storage unit. Because climate-control temps are kept constant, the mechanical/electronic parts of your appliances are better protected from rust and fissures. Load last. If you’re moving more household items into your self storage unit, put the large appliances on the truck last. This way, they will be the first to come off the truck. Refrigerators should be transported upright. Unload first. By placing appliances in the back of your storage unit, you’ll have easier access to smaller items that you retrieve more frequently. Turn the power off. The large majority of storage facilities will not offer electricity outlets in your storage unit. But if yours does have power, do not use it. Leave your appliance off for the duration of the rental. Protect fragile parts. If you store appliance parts separately (glass panels, shelves, etc.) remember to mark them as fragile and avoid stacking or leaning heavy items on them. Prop open the door. Find a way to keep the appliance’s door ajar for the duration of the storage rental. This will help deter mildew. Avoid unwanted odors. Place an open box of baking soda in stored appliances. Conserve space. Although some storage and moving companies advise against stowing items inside your appliances, careful preparation will offer additional storage space. A clean, dry, open appliance is a good spot to store lighter items, including fragile things. Do not jam-pack your appliance with heavy items like books. Cover and protect. Use a breathable material such as a tarp or sheet to shield your appliance from dirt, dust, or accidental scratches. That time of year has arrived when the days get longer, and it becomes easier to do something about the carpet stains, dust, and stale air that have built up during the last few weeks and, perhaps, months. Finally, you can throw open all of the windows and let in the fresh air without freezing. Now, get ready to revitalize your home with a good spring cleaning. Whether you conduct a full-house cleaning once a year or once a month, you may want to consider renting a self storage unit to get things out of the way during the process. In addition, cleaning and organizing easily can turn into redecorating. Self storage facilities are great places to store items for the long-term that do not fit into your updated home design scheme but that you are not ready to toss, sell, or donate. To keep track of what you have already accomplished, clean from the top down, dusting and washing ceiling fans, light fixtures, and corners first. Then wipe and wash walls, windows, counters, furniture, and floors. A similar philosophy works with windows. Try cleaning the inside from left to right and the outside from the top down. This will make it easier to tell which side has streaks, if either. Replace smoke detector batteries, test the smoke detectors, and give them a good wipe down. Clear counters and shelves and wash them thoroughly. Wash knick-knacks and dust books. If you have accumulated stacks of papers or bills, now is a good time to file the important documents in your self storage unit. Recycle junk mail, outdated magazines, and used envelopes. Shred old bills and other papers that contain personal information. When cleaning mattresses and other furniture, consider laying down a tarp and leaving the bedding and upholstery outside on the driveway for a few hours. Some strong sunlight and ultraviolet radiation can help eradicate microscopic creatures that are trying to take up residence there. A thorough steam cleaning may also leave your furniture feeling and smelling fresh. As you clean the nooks and crannies, you may find leaky faucets, broken door handles, or cracked tiles. Take time to make these repairs now to prevent them from becoming more serious or costly problems later. Get seldom-used tools out of the way when you are done with the repairs by placing them in your self storage unit. Remember the small stuff. Sweep the corners where your vacuum does not reach, wash down air vents, clean the dirt from the tracks in your windows and patio doors, and wipe crown molding and window frames. Don’t forget the outside of the house. Use a power sprayer to remove grime, empty wasps’ nests, and spider webs from exterior walls and windows. Spray down the garage floor while you are at it to rid the space of fluid leaks and road salt or sand that can easily be tracked inside and stain your carpet. Remove lawn furniture from your basement, garage, or self storage unit. Clean it. A good spraying with the hose will usually do the trick. Replace the furniture with snow blowers, snow shovels, and winter toys like sleds and snowboards. These bulky items can get in the way when stored at home. As these seasonal items don’t need to be removed often, you may find that when you tuck them away in a self storage unit you have taken a very practical step toward keeping your home free of clutter. Self storage facilities allow you to remove documents from your business or household and store them at a secure location. Storage facilities and the type of units they offer come in many forms, however. Those planning to store documents should look for more than just a room that protects goods from wind and weather. Find a facility that offers climate-control features like temperature and humidity control. Find out if the unit has individual controls, or if the entire facility is adjusted by management. Consider pest control. Ask the facility how they deal with this potential problem, and look around the facility to see if it is clear of weeds, foundational cracks, and other signs of trouble. Be sure you can access the unit whenever you might need to review your stored documents, and be sure to look for self storage facilities that specialize in document storage. Military members and their families understand that relocation comes with the job; often, on short notice. Whether your move involves a Permanent Change of Station (PSC), Temporary Duty (TDY), or Temporary Additional Duty (TAD), self storage can be a convenient option for long or short-term use. To prevent unnecessary expenses and last-minute decisions, it is important to plan ahead. Whether you have six months or one week before moving, the smallest amount of organization can help. How much storage space will you rent? Identify the items you will be taking with you and decide which items will be left behind. Are you storing a few small boxes or an entire household worth of furniture? Many storage facilities offer outdoor parking for car or boat storage as well. Once you have figured out the items you will be stowing, a storage calculator is a handy way to determine the storage unit size that meets your needs, and it can also prevent you from overpaying for a space that is too large. If you’re relocating to another state or overseas for a long period of time, amenities like climate control and property security are important features to consider. Once you’ve established how much storage and which type, planning your budget and moving options is a much easier task. Many storage facilities offer military discounts for active-duty personnel and their families. Also, if you will be deployed for many months or years, there are many long-term rental specials available, and if it works within your budget, many storage companies offer pre-payment discounts. There are a variety of additional services available at most self storage facilities. A majority of locations offer online and automatic payment options, which is very helpful for someone whose military deployment is an extensive assignment or in a remote location. Also, many storage businesses sell packing and moving supplies (such as boxes, locks, furniture covers, and more), and also provide their customers with the option of truck rental – which is sometimes included in the storage unit rental at no additional charge. Moves and deployments can be stressful experiences for military personnel and their families. When there are bigger issues to consider, moving your household and family should be a simple undertaking. And with proper preparation, using self storage can be a hassle-free process. Let’s face it: moving to a new home can be a frustrating and demanding process. But sometimes it’s a necessary evil. For many people, like military personnel who receive permanent change of station (PCS) orders every few years, moving is a part of life. The good news is that proper research and planning can make your move much less distressing so you can focus on the fun things, like arranging your new place. Professional movers, on the other hand, are typically well-trained in the laborious arts of packing, lifting, and moving. Their process can go much faster than doing it yourself, and good movers know how to protect your stuff. If they don’t, replacements costs may come out of their pockets! Think about what you want from a move. Then, before you reach out to any companies, make a checklist of what you need and expect from your relocation experience. This list will help you keep your questions on track, your expectations clear, and your estimates accurate. When do you need to move? Keep in mind that movers are often busy at the end of the month, on Fridays, and on weekends. They may charge more for service in these premium times. Consider moving on an “off day” and ask if they offer a discount for relocation during the company’s less busy times. Where are you coming from, and going to? Are you looking to move locally, long-distance, or overseas? Now you’re ready to start calling around for estimates. But whom do you call? The best way to find a reliable moving company is by word-of-mouth. If you know someone who has recently moved, find out which moving company they chose and what they thought of the service. Your real estate agent might also be able to give a good recommendation (as well as tell you which movers to avoid!). Use the web to search and compare local and national companies. Several terrific independent websites offer unbiased information and comparisons of movers, like www.123Movers.com. But be alert: Some mover-directory websites gather your contact information and sell it to multiple movers; your phone may start ringing a lot. Consumer ratings sites, like www.yelp.com, aggregate customer feedback for an expansive customer review. Show the moving company everything you plan to move. The more thorough you are in detailing what has to be relocated, the more accurate the estimate will be. Also, let the estimator know about any issues at your home — or the home you’re moving to — that could complicate the process. Lots of stairs, narrow angles, and poor driveway access are just a few examples that might add to your overall costs. These basic guidelines should help you position yourself for a successful move. But in the end if you feel like you’ve been taken advantage of, cheated in some way, or robbed by a mover – report it immediately and report it often. The college years may be a time to expand your mind, but physical space can be a problem. There are only so many cubbies, nooks, and crannies in your dorm room. After you have completely suffocated and crushed whatever gear you neatly stowed under your bed in the fall with all the extra clothes and books that you accumulated throughout the year, what do you do to make space in your room to walk? Mom will be furious if she finds out that her child lives in a pigsty. Dad will surely give another lecture on male etiquette, which, as usual, ends with “You’ll never impress a girl like that!” A quick fix and a breath of fresh air — literally — may come with a call to the local self storage company. Is there a sign-up, administration, or deposit fee? Deciding what to do with all of the things you have accumulated during your years in college can be stressful, even frustrating. At the end of spring semester it may be difficult to decide if you are really ever going to wear half of your clothes again, or read through that pile of books stacked on your shelves one day. Regardless, you may find yourself moving all of those extra things from year to year into a new dorm room or apartment, as you watch them take up more and more valuable space that you could be using to live more comfortably. Is this going to be temporary – such as over the summer – or for a semester when you study abroad? It will provide a place to store items such as last term’s books, until you can sell them online. For owners of classic, antique, and vintage cars, sports cars, and racing cars – storing your seldom-used car in a storage unit is often a viable option. Whether your car is an expensive one that you display in auto shows and parades, or just an average car holding only personal sentimental value, you will want to know how to best prepare your car for storage. Proper storage will extend the life of your vehicle, keep it looking like new and running in top condition. Storing your vehicle in an enclosed, climate-controlled self storage unit is essential. A damp storage unit will cause rust damage to vehicles. Keeping your car in an enclosed storage unit will keep your car safe from theft and vandalism, as well as nature’s elements. Components such as snow, rain, heat, hail, and dust can damage your vehicle and greatly depreciate its value. Placing your car in storage will also protect it from the possibility of being hit by another vehicle. You will want to choose a storage unit that is in close proximity to your home so that you can check on it frequently. Before storing a vehicle, be sure to check with your insurance carrier. Many insurance companies offer coverage specifically written to protect your car while in storage. Such off-road coverage can offer significant savings over the road insurance coverage. While preparing a car for storage, keep the following checklist handy – and be sure to follow it carefully – so that your vehicle will run to its optimal performance level, and continue to look like new when it’s time to take it out of storage. Gather the tools and supplies that you may need before you get started. Some supplies you will need to have handy are various quality cleaners and protectants, a tire gauge, plastic drop cloth, cotton cloth, mothballs, and mouse traps. Other items you will need are plastic bags, duct tape, fuel stabilizer, WD40, desiccant sacs, a jack, and jack stands. You may also need a large wood block for the battery and thin wood trim pieces for under the windshield wipers. Make sure that you have adequate amounts of each type of fluid on hand to top-off all of your fluids. Remove all trash and debris from the interior of the car. Vacuum it thoroughly to remove all pet hair and food crumbs. Use a stain remover to scrub away any and all stains from the carpet and upholstery. Use an air-freshener spray to remove all odors from the inside of your car. Remove all items from the trunk of your car and don’t neglect to properly clean the carpet in the trunk area as well. Change the oil and filter one to two days before putting it into storage. Used oil contains acids, moisture, and other combustion byproducts that will cause engine corrosion over time...especially when the car sits for long periods. Pull the spark plugs and add about a teaspoon of engine oil inside each cylinder. Doing this will coat the inside of the cylinders to prevent rust. Replace the spark plugs. Seal off all engine openings using absorbent cotton cloth. This will absorb any moisture to protect the engine. It will also deter bugs and mice from getting inside. Use cotton cloth to fill openings in the exhaust pipes and other openings. Be sure to write this down on your maintenance checklist to remind yourself to remove the cotton cloth when taking your car out of storage, prior to driving it again. Spray the exposed metal surfaces of your engine with a good lubricant, such as WD40, to prevent rust. The WD40 will quickly evaporate, causing a protective film to cover the carb body, hose clamps, coils, and other parts. Check the color of the brake fluid. The brake fluid should look clear. If the brake fluid is brown and looks dirty, the brake fluid needs to be flushed out and refilled with new fluid. When brake fluid gets old, it contains moisture which can rust the break system. Be sure that the brake, clutch, and master cylinders are both full of brake fluid. Brake fluid absorbs water quickly. It is also recommended that the brake and clutch fluid be bled out annually to purge the system of contaminated brake fluid. Flush transmission fluid, steering fluid, and engine coolant if it appears dirty to prevent any corrosion of their systems. If these fluids are clear, top them off to prevent air and moisture from getting inside which will also cause damage. Tires can go bad when sitting in storage for long periods. They can develop dry rot and flat spots. Avoid using products to give your tires a shine as they will dry out the tires and increase dry rot. Over-inflate the tires slightly to 37 or 38 psi to prevent flat spots. Have tires checked for leaks and have them repaired before storage. Tires with an “H” rating or higher will do best in storage. Refer to your owner’s manual when caring for your battery. Some car specialists suggest removing the battery and placing it on a wooden block so the battery won’t be drained. Others suggest leaving the battery in the car, but disconnecting the negative (-) terminal of the battery. Still other car specialists insist that the battery should be left intact in the car to prevent voltage spikes. Voltage spikes can do major damage to components. A Storage Switch can be found on some cars. When flipping this switch the battery shuts off, preventing the battery from draining and deterring theft. Roll up the windows and close vents to protect your car against moisture, and to keep bugs and mice from getting inside. Exhaust pipes can be protected from moisture and pests by placing a plastic bag over the exhaust pipe opening and sealing it around the exhaust pipe with duct tape. Windshield wipers – remove the blades and place thin wood strips or white cotton cloth under the wipers to prevent them from scratching the windows. Visit your car at least once a month; start the engine and let it run for a few minutes. WARNING: make sure you leave the door to your storage unit open when running the engine for proper ventilation. When possible, take your car for a quick drive to get all the parts moving. Revive the car after long storage. Open all windows to air out your car. Remove the cotton cloth placed in all pipe openings. Remove the plastic bag from the exhaust pipe. Check all fluids. Reinstall the battery and make sure it is fully charged. Take your car for a drive! Find a storage location. Your options are storing in your garage, driveway, or backyard; rack storage; a marina; or a storage facility. Be sure to consult your owner’s manual for rules on safety, instructions on towing capacity, and storage tips. Clean. Be sure to give your boat a thorough cleaning inside and out. This will also let you discover anything that might need repair before putting your boat away until the spring; it will also let you take care of any spills or messes that you may not have been aware of, thus avoiding having to uncover any mysterious odors in the spring. Clean your boat and apply a rust inhibitor on your steering and control cables, and on any metal hardware. Repair damages. It is best to handle anything that is broken, worn, or damaged in the fall when boatyards are less busy than in the springtime rush. You also don’t want to leave something like a crack sitting all winter long, as damage could become worse. Remove electronics. All electronics should be removed and stored in a safe, dry, and warm place. Prevent mildew. Things such as cushions, curtains, sails, personal flotation devices, and fire extinguishers should also be stored. Lockers and drawers should be propped open to air out, and the refrigerator should be emptied out. To avoid mildew, keep the moisture inside your boat in suspension and on the move. A dehumidifier can help increase the interior air temperature and prevent moisture, as it keeps the air circulating inside the boat. Be sure to place some boxes of baking soda throughout your boat to absorb moisture. Drain. Drain the fluid from your manifolds and engine blocks, water pumps, and coolers. Be sure to drain and fill the gear case with gear case lubricants. Drain the port-a-potty, fresh water tank, and hot water heater. Add non-toxic antifreeze to your water tank, hot water heater, and port-a-potty. Add fuel and antifreeze. Fill the gas tank to prevent condensation, oxidation, and gas spoilage. Be sure to add stabilizer to preserve the gas and prevent damage to the fuel system. Run the engine for about 15 minutes to make sure the stabilizer reaches the gas in your fuel lines. Put antifreeze into the cooling system and into the supply lines for the water faucets and shower. Monitor oil. Run the engine to warm it up, and change the oil while it is warm. Dirty engine oil can thicken after long-term storage and make it difficult to start the boat when you are done storing it. Be sure to change the oil filter, too. Prepare the engine. You’ll also want to change the transmission fluid, remove spark plugs, and use “fogging oil” on each cylinder. Spray a towel with fogging oil or WD-40 and wipe down the engine. Paint. Sand the bottom of the boat and repaint it to prevent rust. Prepare the battery. Disconnect the battery cables and remove the battery. Clean the terminal ends, wash the battery with a solution of water and baking soda, and rinse it with distilled water. Apply a light coating of grease to the terminal ends of the battery and cables. Be sure to use a trickle charger to keep the battery charged. Store it in a dry, safe place and off of concrete. Inspect the stern drive. Thoroughly inspect the stern drive and remove any plants or barnacles from the lower unit. For stern drives with rubber boots, be sure to check for cracks or holes. Make sure you grease all fittings and check your fluid levels. Clean bilges. Bilges should be clean and dry. Use soap, hot water, and a stiff brush to clean up any spills from oil. Once the bilges are clean, spray them with a moisture-displacing lubricant and add antifreeze to prevent any water from freezing. Choose a proper cover. Be sure to cover your boat tightly before storing it, even if it is being stored indoors. Make sure that whatever cover you choose has good ventilation. Also be certain there are no tears or damages to the cover.